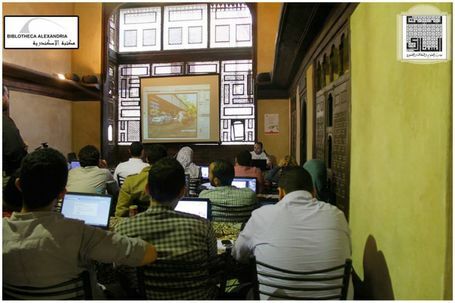 Bayt Al-Sinnari, (the Sennary House) is a historic building already operating as a cultural outlet in the historic neighborhood of Sayeda Zeinab in Cairo, will be a venue for some of the activities of the program to increase its outreach, encourage cultural participation, and act as a beacon of cultural activities and a space of freedom for multiple forms of expression, in words, texts, painting, music, and art. The Bibliotheca Alexandrina will also develop an outdoor theater next to the House, to host different performances and activities. 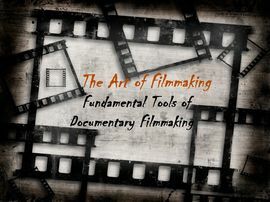 This will not only engage the habitants of the area and visitors in artistic and cultural activities and equip them with the required training to develop their skills and utilize them in future careers, but will also provide support to young artists in the flourishing contemporary art movement in Egypt. 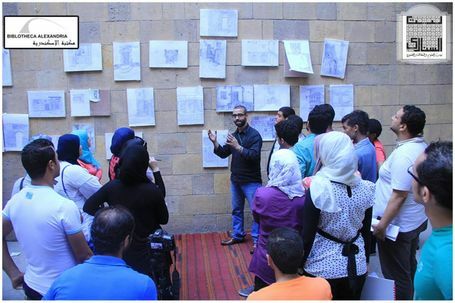 Within the framework of the Support to Cultural Diversity and Creativity in Egypt program, the Bibliotheca Alexandrina is organizing the 8th Creativity Youth Forum between the 25th to the 27th of August 2015, under the theme of “Comics”. 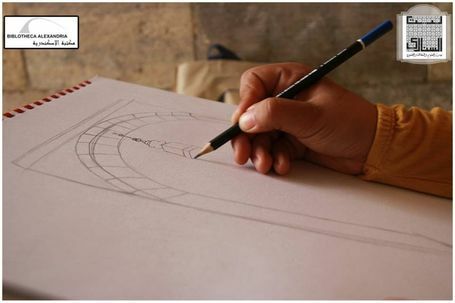 The workshop emerges as the 8th event under a series of workshops focusing on different artistic themes and hosted by Bayt Al-Sinnari, in Cairo. 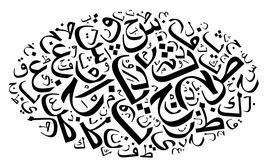 Support to Cultural Diversity and Creativity in Egypt invites young talents from the ages of 12-16 and 18-34 to enter its upcoming Art Production Competition in literature. 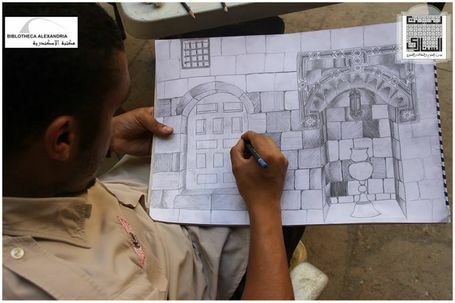 The competition is regarded the 4th event within the Bi-Annual Art Production Competitions organized by the program, and hosted by Bayt Al-Sinnari in Sayeda Zeinab district in Cairo. 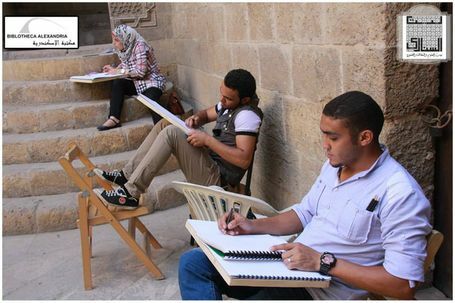 Within the framework of the "Support to Cultural Diversity and Creativity in Egypt" program, the Bibliotheca Alexandrina is organizing the 7th Creativity Youth Forum between the 28th to the 30th of July 2015, under the theme of “Visual Arts: Relief Printing Workshop (Linocut)”. 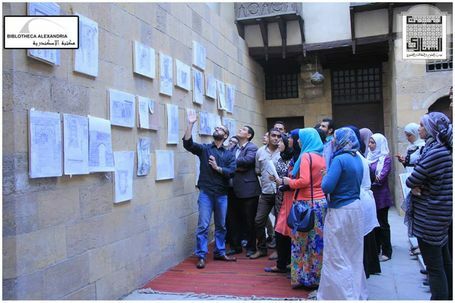 The workshop emerges as the 7th event under a series of workshops focusing on different artistic themes and hosted by Bayt Al-Sinnari, in Cairo. 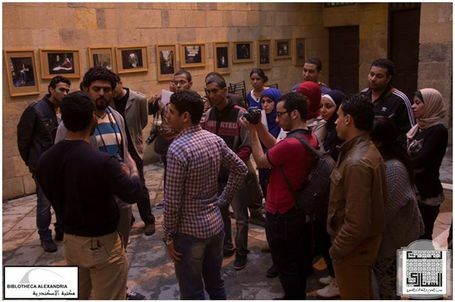 The 6th Creativity Youth Forum - "Photography"
Within the framework of the Support to Cultural Diversity and Creativity in Egypt program, the Bibliotheca Alexandrina is organizing the 6th Creativity Youth Forum between the 19th to the 21st of May 2015, under the theme of “photography”. 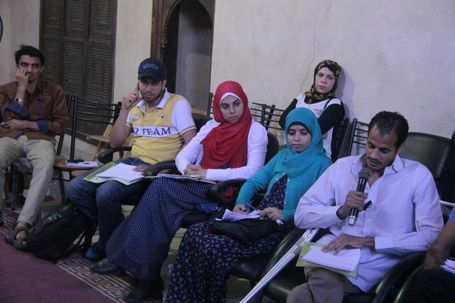 The forum emerges as the sixth event under a series of workshops focusing on different artistic themes and hosted by Bayt Al-Sinnari, in Cairo. 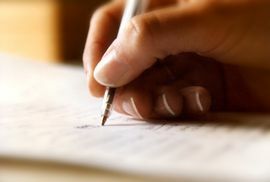 “Support to Cultural Diversity and Creativity in Egypt” invites young talents from the ages of 12-16 and 18-34 to enter its upcoming Art Production Competition in literature. 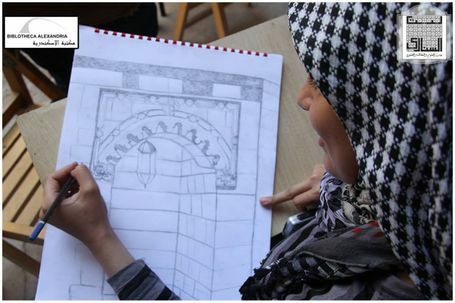 The competition is regarded the 3rd event within the Bi-Annual Art Production Competitions organized by the program, and hosted by Bayt Al-Sinnari in Sayeda Zeinab district in Cairo. 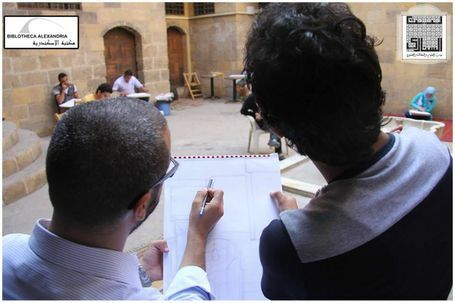 "Support to Cultural Diversity and Creativity in Egypt" is organizing its 5th Creativity Youth Forum between the 17th to the 19th of February 2015, under the theme of The Art of Filmmaking (Digital Animation)". 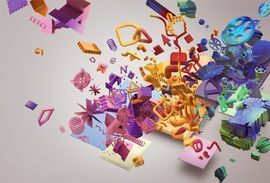 The Forum emerges as the fifth event under a series of workshops focusing on different artistic themes and hosted by Bayt Al-Sinnari in Cairo. 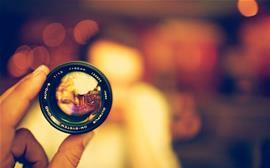 “Support to Cultural Diversity and Creativity in Egypt” invites young talents from the ages of 12-16 and 18-34 to enter its upcoming photography competition. 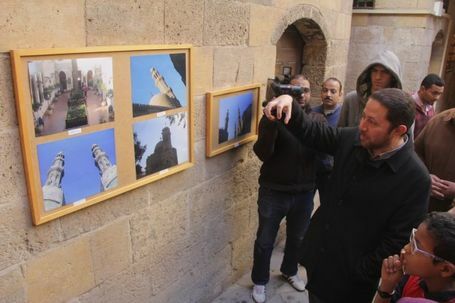 The photography competition is regarded the 2nd round of the Bi-Annual Art Production Competitions organized by the program, and hosted by Bayt Al-Sinnari in Sayeda Zeinab district in Cairo. 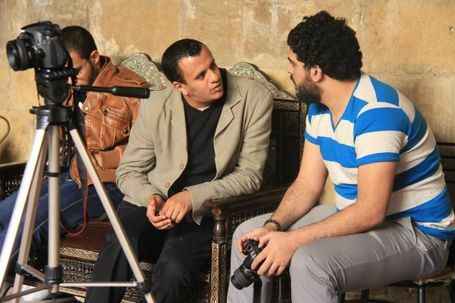 The 4th Creativity Youth Forum - "The Art of Filmmaking: Fundamental Tools of Documentary Filmmaking"
"Support to Cultural Diversity and Creativity in Egypt" organized its 4th Youth Forum between the 23rd to the 25th of November 2014, under the theme of documentary filmmaking. 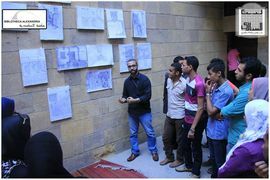 The Forum emerged as the fourth event under a series of workshops focusing on different artistic themes and hosted by Bayt Al-Sinnari in Cairo. 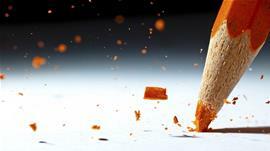 The 3rd Creativity Youth Forum - "The Art of Creative Writing"
"Support to Cultural Diversity and Creativity in Egypt" organized its 3rd Creativity Forum on the 28th - 30th of September, 2014. 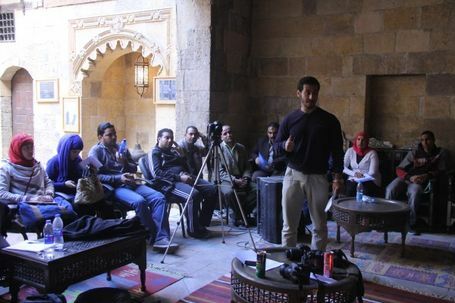 It was hosted by Bayt Al-Sinnari, in Cairo and focused on the theme of creative writing. 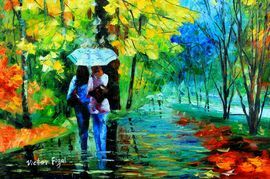 The Forum comes under a series of interactive workshops specifically designed for young talents and focusing on different artistic themes. 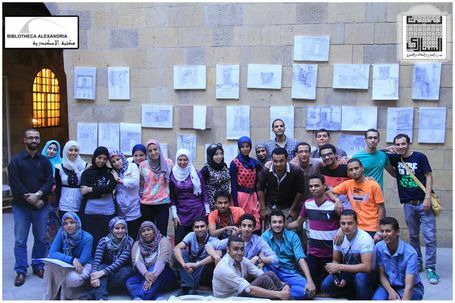 The Bibliotheca Alexandrina (BA) invited artists from the ages of 12-15 and 18-34 to participate in its bi-annual Painting Competition. 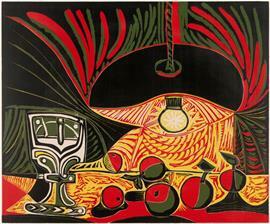 The Painting Competition was the first event to be held under the Bi-Annual Art Production Competitions. 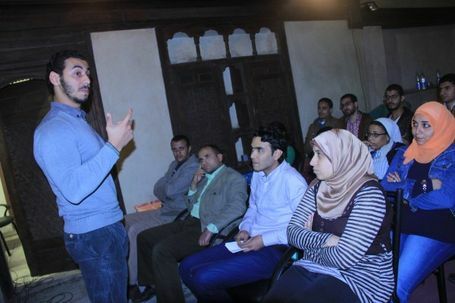 It was organized by the Bibliotheca Alexandrina (BA) in the framework of the program Support to Cultural Diversity and Creativity in Egypt, a project co-funded by the European Union and orchestrated by the BA. 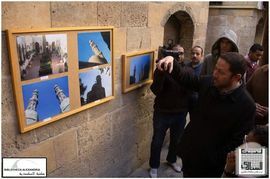 The competition was hosted by the Bayt Al-Sinnari Center for Science, Culture and Arts in Sayeda Zeinab district in Cairo. 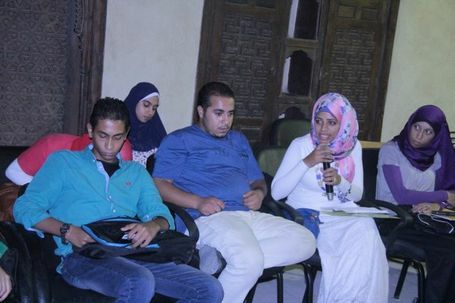 In the framework of the program Support to Cultural Diversity and Creativity in Egypt, funded by the European Union, the Bibliotheca Alexandrina organized the "2nd Creativity Youth Forum" which was hosted by the Bayt Al-Sinnari Centre for Science, Culture and Arts in the district of Sayeda Zeinab, Cairo. 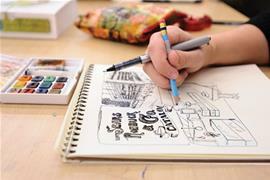 It took place on the 22nd to the 24th of June, 2014 and focused on theme of charcoal and pencil drawing. 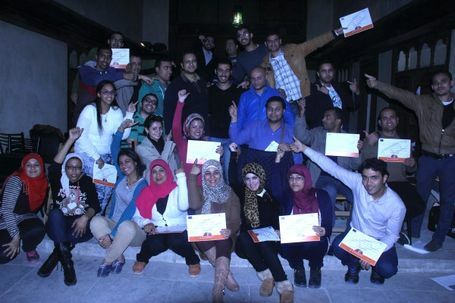 The Bibliotheca Alexandrina organized its first Creativity Youth Forum from April 28-29, 2014, as part of the program Support to Cultural Diversity and Creativity in Egypt, funded by the European Union and orchestrated by the Bibliotheca Alexandrina. 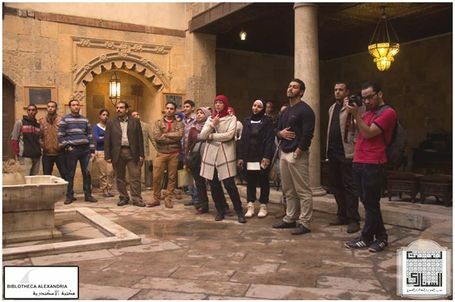 Hosted by the Bayt Al-Sinnari center for Science, Arts and Culture in Cairo’s Sayeda Zeinab district, the event brought together thirty participants from various governorates in Egypt, including Beheira, Gharbia, Qenna, Asiut, Beni Suif , Luxor, Port-Said, Minya, Sohag, Kafr El-Sheikh, Menoufia, Fayoum, New Valley, Qualyubia and Cairo.